Buy online 54 sq. ft. 3.27 ft. x 16.46 ft. x 0.156 in. 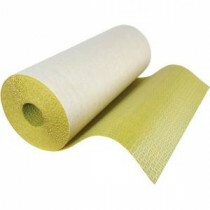 Crack Suppression and Isolation Underlayment Roll HDURA CI 5US and leave review or share with Your friends. By installing Homelux Crack Suppression and Isolation Underlayment, most cracks in the foundation are prevented from affecting your tile installation. The tile flooring is isolated from the foundation and thus remains undamaged. Tile can therefore even be laid on old or problematic foundations with no difficulty. Proven performance that is fully ANSI approved with a manufacturer's limited lifetime warranty.